VZDRŽEVANJE LETAL, DEJAN HEBAR S.P. Our company DEJAN HEBAR S.P. 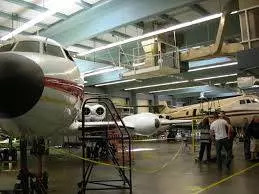 is known for high quality maintenance of aircrafts in Europe. We provide our customers with the best and the most cost and time effective solutions for their aircrafts. Our work is based od rich knowledge, expertise and experience. We offer quality maintenance of aircraft in Europe for our clients from Slovenia, Germany, Asutria, Belgium etc. If you need a professional that will repair in maintain your aircraft, contact us. We quickly respond to your inquiries, we are very flexible and we guarantee the best ratio between quality and price. For any additional information related to the Quality maintenance of aircraft in Europe please contact us. We are lookinf forward to new successful cooperations.